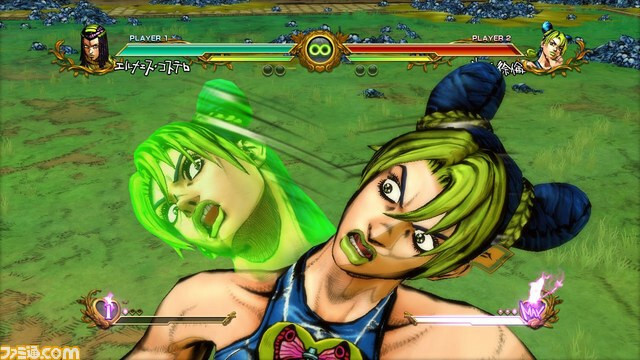 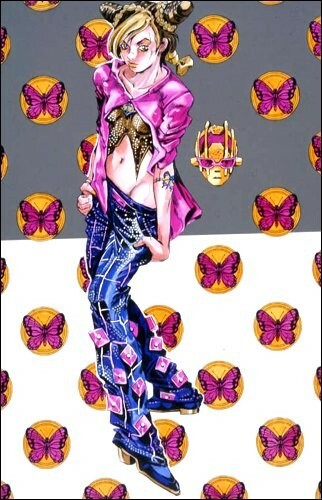 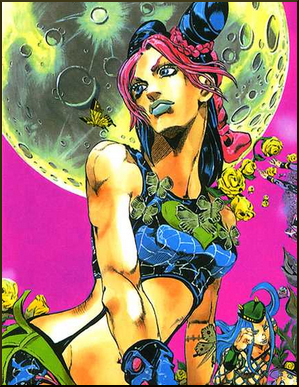 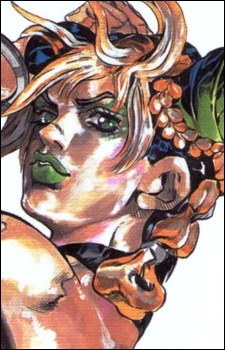 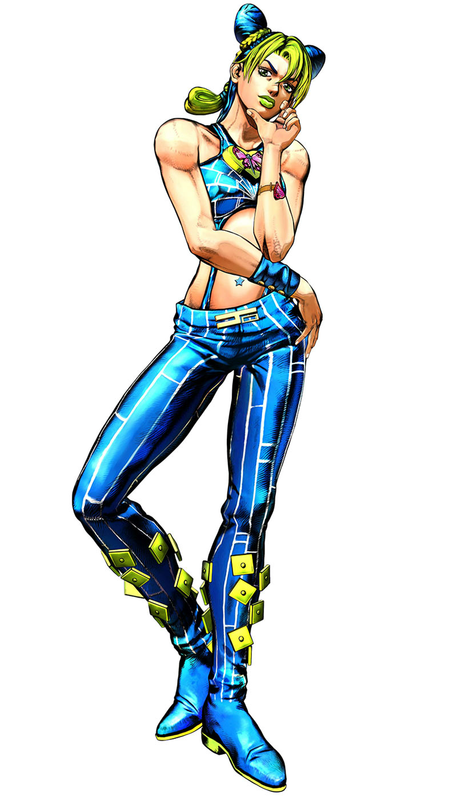 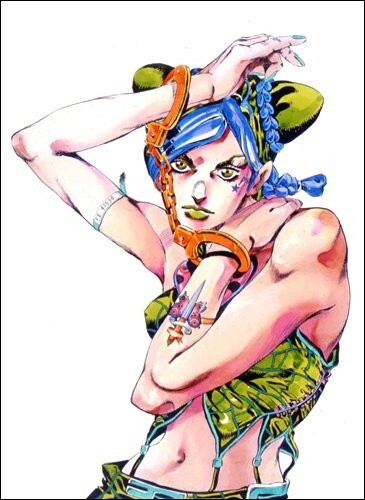 Jolyne is the main heroine of Part VI, Stone Ocean. 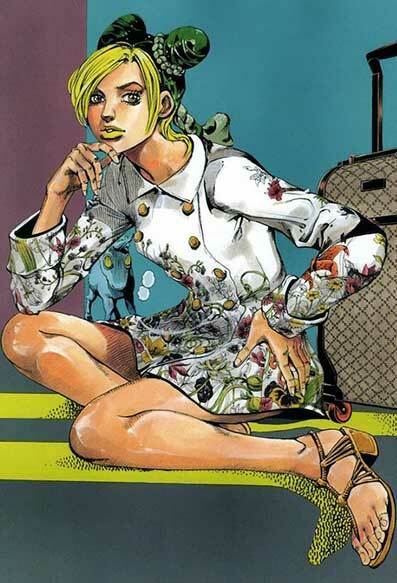 She is the daughter of Jotaro Kujo, and is the only female "JoJo" to date. 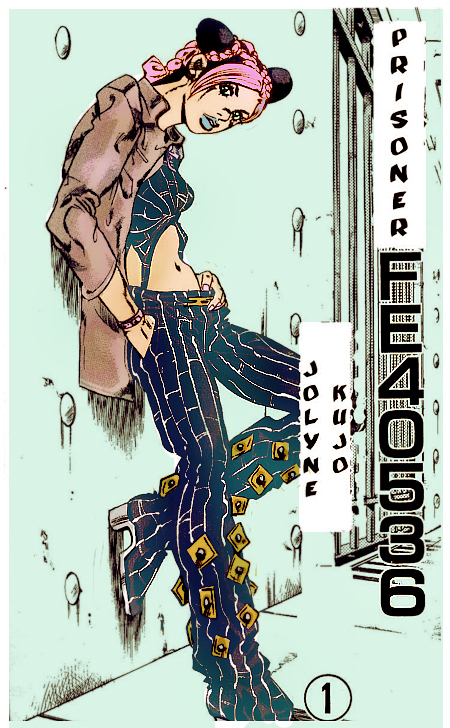 As one of the few females to appear in JoJo series, Jolyne definitely holds her own as a cool design. 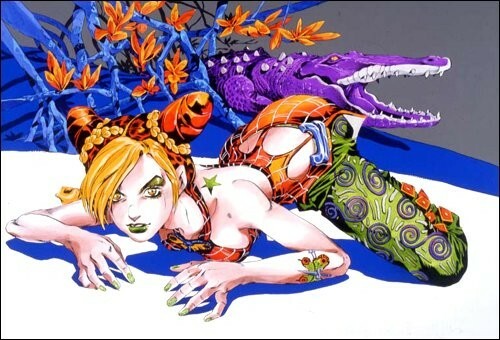 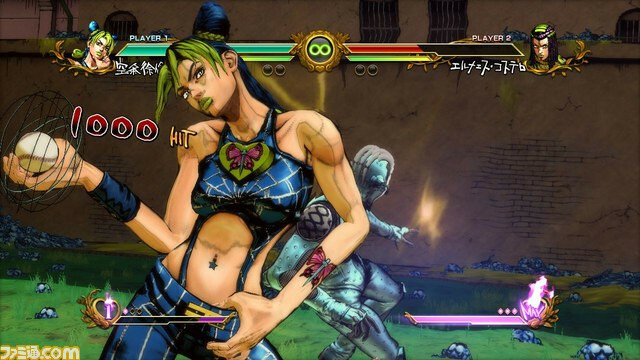 In JJBA: ASB, she has a pretty cool fighting style overall. 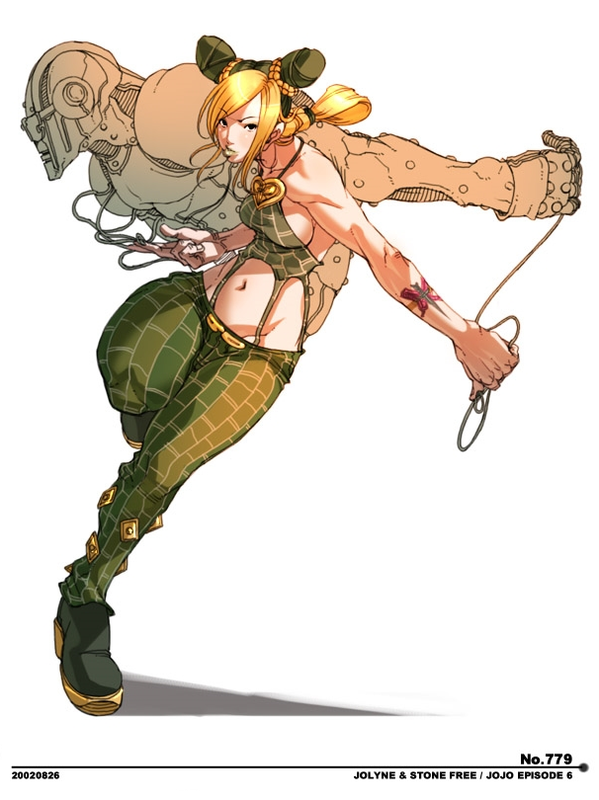 Let's see, she throws baseballs... and has Chun-Li's lightning kicks. 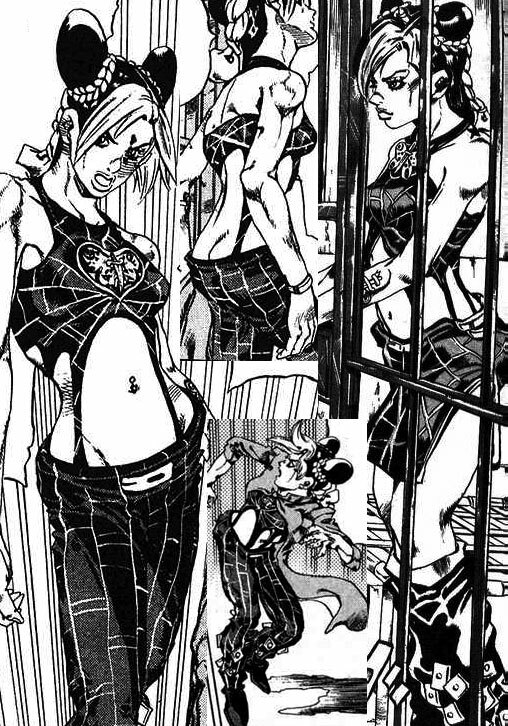 And while we're on the subject of Street Fighter, Jolyne was also likely part of the inspiration behind Juri Han's design.